Preservation | What about the Different Translations? | Are There More Books to Come? This lesson provides a general overview of the processes God used in establishing the Old Testament and New Testament canons1 For a more in-depth study, go to the lessons for "How Was the Old Testament Formed?" and "How Was the New Testament Formed?" by Dr. Denis O'Callaghan. It began back in Genesis 3 when Satan planted seeds of doubt and denial in Eve's mind; and ever since, we have continued to question and doubt God's Word. When you open your Bible to read or study, you may have asked in the past or are asking now, "How can I be sure this is the true Word of God?" A question of this kind is not altogether bad, especially when one seeks to learn with a teachable mind (Acts 17:11). How can we be certain that the Bible is God's Word to mankind? Comprised of 66 books, 1189 chapters, 31,173 verses, and ±775,000 words, it would seem that the Bible consists of enough content to be thoroughly questioned and examined. Whose thinking does it reflect? 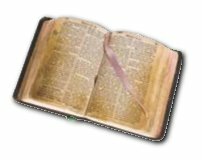 Did any books of the Bible get lost in time past? What does the Scripture claim for itself? Who wrote the Bible  God or man? Has Scripture been protected from human tampering over the centuries? How close to the original manuscripts are today's translations? How did the Bible get to our time and in our language? Is there more Scripture to come, beyond the current 66 books? Who determined, and on what basis, that the Bible would be composed of the traditional list of 66 books  no more and no less? If the Scriptures were written over a period of 1,500 years, passed down since then for almost 2,000 years, and translated into several thousand languages, what prevented the Bible from being changed by the carelessness or ill motives of men? Does today's Bible really deserve the title "The Word of God"? A careful, sincere, and prayerful study of the Scriptures settles almost all of these questions. First, the Bible claims to be God's Word. More than 2000 times in the Old Testament alone, the Bible says that God spoke what is written within. The phrase "the Word of God" appears four times in the Old Testament, "the word of the LORD" appears 243 times. And, in reference to the Old Testament, those phrases occur more than 50 times in the New Testament. The Samaritans received it as God's Word, as given by the Apostles. Paul preached it during his second missionary journey and during his third missionary journey. Paul told the Corinthians that he spoke the Word as it was given from God, that it had not been adulterated, and that it was a manifestation of truth. God's Word even says it is inerrant [without any errors] and infallible [not capable of failure or error]. In other words, it is true, and if true, then completely trustworthy. Keep in mind that all of these qualities depend upon the fact that God, not man, has given us the Scriptures (cf. 2 Timothy 3:16; 2 Peter 1:20-21). God's Character and God's Word throughout Scripture are tightly and inextricably interrelated. In other words, whatever is true about the character of God is also true about the nature of His Word. He is true, impeccable, and reliable; therefore, so is His Word. Every generation for the past 6000+ years has had its skeptics and assailants who've attacked the Bible's self claims of divine authorship and infallibility. God does not expect us to speculate on how these divine qualities were transferred from Him to His Word. Rather, in His Word He anticipates the questions and then provides rather convincing answers. The means by which He's done this have varied: Sometimes it was through the created order and at other times through visions/dreams or speaking prophets. However, the most complete and understandable self-disclosures were through the propositions of Scripture. 6"Yet among the mature we do impart wisdom, although it is not a wisdom of this age or of the rulers of this age, who are doomed to pass away. 7"But we impart a secret and hidden wisdom of God, which God decreed before the ages for our glory. 8"None of the rulers of this age understood this, for if they had, they would not have crucified the Lord of glory. 10"these things God has revealed to us through the Spirit. For the Spirit searches everything, even the depths of God. 11"For who knows a person's thoughts except the spirit of that person, which is in him? So also no one comprehends the thoughts of God except the Spirit of God. 12"Now we have received not the spirit of the world, but the Spirit who is from God, that we might understand the things freely given us by God. 13"And we impart this in words not taught by human wisdom but taught by the Spirit, interpreting spiritual truths to those who are spiritual. 14"The natural person does not accept the things of the Spirit of God, for they are folly to him, and he is not able to understand them because they are spiritually discerned. 15"The spiritual person judges all things, but is himself to be judged by no one. 16"'For who has understood the mind of the Lord so as to instruct him?' But we have the mind of Christ." The revealed Word of God is unique in that it is the only revelation of God that is complete and that so clearly declares man's sinfulness and God's provision of the Savior. The Bible says it was "given by inspiration" or "inspired by" or "God breathed". These phrases say more about the process by which God revealed Himself to humankind than the fact of His self-revelation. By this means, the Holy Spirit protected the Scriptures from human error. This ministry of the Holy Spirit extends to both the part [the individual words] and to the whole [all Scripture] in the original writings. When discussing the Bible, it's important to remember that, even though it was written by approximately 40 different human writers, it is actually one book with one divine Author. This, of course, begs the question: "How do we know which sacred writings should be included in the canon of Scripture and which ones should be excluded?" The manuscript had to have been written by a recognized prophet or apostle (or one closely associated with them). The text could not disagree with or contradict previously-accepted Scripture. The writing had to have general consensus [agreement and acceptance] by the Church as an inspired book. Thus, when various councils met in Church history to consider the canon, they did not vote for the canonicity of a book but rather recognized, after the fact, what God had already inspired to be written. By the time of Christ, all of the Old Testament had been written and accepted in the Jewish community. The last book, Malachi, had been completed about 430 B.C. The Old Testament canon of Christ's day conforms to the same Old Testament the Church has used for the past 2000 years. The Old Testament canon recognized by both the Jewish people and the Church does not contain the uninspired and unauthentic Apocrypha. The Apocrypha is a group of 14 writings that were written after Malachi and attached to the Old Testament sometime around 200-150 B.C. in the Greek translation of the Hebrew Old Testament called the Septuagint (LXX)2. As you may be aware, the Apocryphal books still appear in some versions of the Bible. They are not once quoted by Jesus or the New Testament writers, who frequently quote from the LXX. Jesus and the Apostles confirmed by their authority the ordinary Jewish canon, which was the same in all respects as we now have it. Some say Jesus never supported any of the Apocryphal books as He recognized the Old Testament canon of His era (cf. Luke 24:27,44). The fact is, however, that we know the Bible does not contain every word spoken by Jesus during His time on earth. And simply by virtue of His half-brother, Jude, referencing the book of Enoch, can we really say conclusively that Jesus did not support or acknowledge portions of the Apocryphal literature? The early Church fathers applied the same three validating principles of canonicity to the New Testament that applied to the Old Testament. Of course, one might ask how the book of Hebrews  whose author is unknown  or the books authored by Mark, Luke, James, and Jude  none of whom were Apostles or Prophets  pass the test. In the cases of Mark and Luke/Acts, they were considered to be the scribes or writers for Peter and Paul (Mark for Peter and Luke for Paul); thus, they qualified because they were closely associated with the Apostles. James and Jude were written by Christ's half-brothers and so, were well acquainted with His teachings. Hebrews is included because its content is so in line with both the Old Testament and other New Testament books. Therefore, the early Church concluded it must have been written by an Apostle or an associate of an Apostle. The 27 books of the New Testament have been universally accepted as the inspired Word of God since A.D. 350-400. Obviously, the next question is how can we be sure the revealed and inspired, written Word of God has been handed down from generation to generation without any loss of content, concept, or meaning? Also, since one of Satan's primary tactics is to undermine God's Word (as he did with Eve), can we be sure the Scriptures have survived this destructive onslaught? Of course, as the eternal self-existent I AM, God anticipated Satan's malice and man's general ignorance, apathy, or arrogance toward Scripture. Thus, He has promised to preserve His Word Himself. Assured of God's ability to give and then to keep that which He has given, according to His perfect will, we can be certain there are no lost pieces of inspired Scripture yet to be discovered. God also assures that the actual content of Scripture will be upheld both in Heaven and on Earth. What about All the Different Translations? The next obvious question about the Bible's inerrancy deals with the specifics of translating the Bible into multiple languages throughout the world. The critic would assert that we cannot be sure that error has not crept in, even if it was unintentional. As Christianity spread, people have wanted to have the Bible in their own language. This required translations from the original Hebrew and Aramaic languages of the Old Testament and the Greek of the New Testament. Not only did the work of translators provide an opportunity for error, but publication, which was done by hand copying until the printing press arrived around A.D. 1450, also afforded continual possibilities of error. Through the centuries, various scholars who practice textual criticism [a precise scientific discipline that compares a particular text with related materials in order to establish authenticity], have discovered, preserved, catalogued, evaluated, and published many Biblical manuscripts from both the Old and New Testaments. By comparing text-with-text, the textual critic can confidently determine what the original prophetic/apostolic inspired writing contained. "Although existing copies of the main, ancient Hebrew text (Masoretic) date back only to the tenth century A.D., two other important lines of textual evidence bolster the confidence of textual critics that they have reclaimed the originals. "First, the tenth century a.d. Hebrew Old Testament can be compared to the Greek translation called the Septuagint or LXX (written ca. 200-150 b.c. ; the oldest existing manuscripts dates to ca. a.d. 325). There is amazing consistency between the two, which speaks of the accuracy in copying the Hebrew text for centuries. "Second, the discovery of the Dead Sea Scrolls in 1947-1956 (manuscripts that are dated ca. 200-100 b.c.) proved to be monumentally important. After comparing the earlier Hebrew texts with the later ones, only a few slight variants were discovered, none of which changed the meaning of any passage. Although the Old Testament had been translated and copied for centuries, the latest version was essentially the same as the earlier ones. a few existing fragments date back to within 25-50 years of the original writing. of the remaining one hundredth of one percent (0.100%), there are no variants substantially affecting any Christian doctrine. "With this wealth of biblical manuscripts in the original languages and with the disciplined activity of textual critics to establish with almost perfect accuracy the content of the autographs, any errors which have been introduced and/or perpetuated by the thousands of translations over the centuries can be identified and corrected by comparing the translation or copy with the reassembled original. By this providential means, God has made good His promise to preserve the Scriptures. We can rest assured that there are translations available today which indeed are worthy of the title, The Word of God." John Wycliffe (1330-1384) wrote the first English translation of the whole Bible. Around 1526, William Tyndale was associated with the first complete, printed New Testament in English. Myles Coverdale followed in 1535 by delivering the first complete Bible printed in English. The King James Version (KJV) was completed by 1611. 3. New American Standard Bible (NASB). God intended His Word to abide forever (preservation). Therefore His written, propositional, self disclosure (revelation) was protected from error in its original writing (inspiration) and collected in 66 books of the Old and New Testaments (canonicity). Through the centuries, tens of thousands of copies and thousands of translations have been made (transmission) which did introduce some error. Because there is an abundance of existing ancient Old Testament and New Testament manuscripts, however, the exacting science of textual criticism has been able to reclaim the content of the original writings (revelation and inspiration) to the extreme degree of 99.99 percent, with the remaining one hundredth of one percent having no effect on its content (preservation). The sacred book which we read, study, obey, and preach deserves to unreservedly be called The Bible or "The Book without peer," since its author is God and it bears the qualities of total truth and complete trustworthiness as also characterizes its divine source. Is it possible that God might amend our current Bible with additional inspired books? Is the canon forever closed? Scripture warns that no one should delete from or add to it. Old Testament Canon: God began His revelation to humankind with the book of Genesis in which He bridges the gap from eternity past to our time-and-space existence. New Testament Canon: In similar fashion, the book of Revelation describes in detail the End Time events which shall take place just prior to eternity future. Old Testament Canon: There was a long period of prophetic silence after Malachi completed the Old Testament canon. New Testament Canon: There has been a parallel silence from the time when John delivered the book of Revelation to now. The obvious conclusion, then, is that the New Testament canon was then closed by God. Jude, in his epistle, writes in verse 3 that God's Word was "once for all delivered to the saints", which implies that it's complete and not to be added to, but defended. Revelation, which was written more than 20 years after any other New Testament books, is the only book in the Bible that includes strong warnings of intense divine judgment for those who alter God's Word (Revelation 22:18-19). The time of the writing and the stern warning also suggest that Revelation was the last book of the canon and that the Bible is, therefore, complete. And last but not least, the early Church  those closest to the time of the Apostles  believed that Revelation concluded God's inspired writings. Therefore, based on solid traditional reasoning in applying the three widely-recognized principles to validate whether writings are a result of divine revelation and inspiration, we can conclude that the canon is and will remain closed. 2Septuagint (LXX) n. (from the Latin septuaginta, meaning "seventy" and frequently referred to by the Roman numerals LXX) is the Greek translation of the Old Testament and includes the Apocrypha. Note: This lesson has provided a general overview of the process involved in establishing the Old Testament and New Testament canons. For a more in-depth study, go to the lessons for "How Was the Old Testament Formed?" and "How Was the New Testament Formed?" by Dr. Denis O'Callaghan.